Immigration historian John Highman suggests that American nativism “should be defined as intense opposition to an internal minority on the ground of its foreign (i.e.,”un-American”) connections. He observed that feelings or intensities of nativism rose and fell as a barometer to overall nationalistic feelings (4). 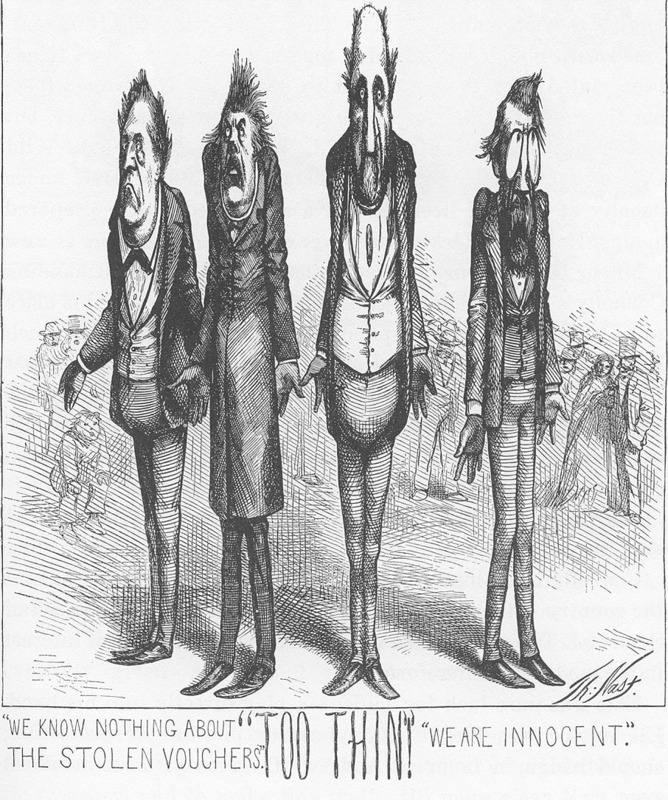 In America, Highman distills this down to three themes that ran through nativist sentiment in the early nineteenth century: Reformation and the hatred of Roman Catholicism, fear of foreign radicals and political revolutionaries, and racial nativism, which led to the belief America belonged to people of the Anglo-Saxon race. The United States was their domain. The Irish were viewed as a different race and this belief continued to permeate long after the initial Protestant-driven nativist sentiment had considerably weakened. As immigration to America increased in the early 1820s and 1830s, nativist organizations sprouted all over the country and especially in locations with higher immigrant populations. Some met in secret. The Know Nothings are the most well-known of these secret societies, their name derived from their desire to remain secret. When asked about the organization, members would claim not to know anything about it. Nast would affix another meaning to their name, that of ignorance. At first, nativist xenophobia targeted all foreign immigrants, but their real concern quickly shifted to Irish Americans who practiced the Roman Catholic faith, particularly in the 1840s when the Irish began arriving in greater numbers due to increased oppression and the potato blight. Protestant faith and culture shaped early America. For the New York City Protestant ruling class, Irish Catholics were seen as a threat to the status quo. 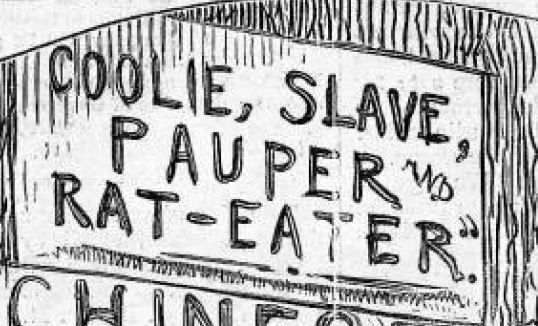 In the two decades before and after the Civil War, expressions of nativism in the United States focused almost exclusively toward the Irish Catholics. The Irish were “nonetheless subject to prejudice, discrimination, and bitter hostility by many Americans for their Irish background or Catholic faith or, more often, both” (Meagher 221). 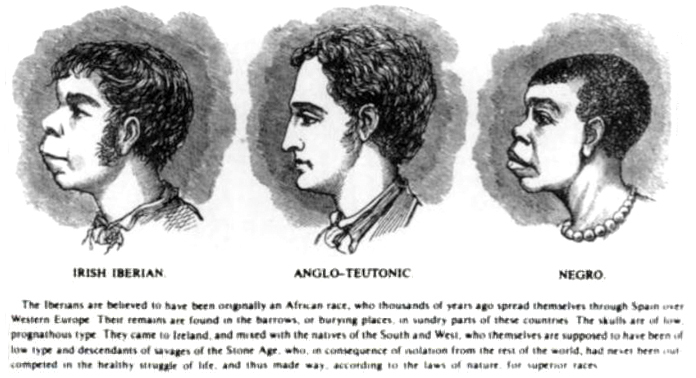 In assessing the work of several “whiteness” studies, historian Timothy Meagher asserts that self-identification as “white” went beyond skin color. “It was not clear that the Irish were white” (217). To be white required a sense of belonging to a community and culture (215). Being a part of anti-racial groups, or affiliation in a secret society was solidifying factor. The Irish, Meagher writes, arrived in America with “lessons” learned from their British oppressors. Their past shaped the way they thought of race and they arrived in a new nation with revenge buried in their subconscious. Meagher quotes whiteness historian Theodore Allen who wrote of the Irish, “no immigrants ever came to the United States better prepared by tradition and experience to empathize” with other oppressed minorities. But to the contrary, the Irish developed an adversarial role with other races (216). Meagher concludes that the Irish made a conscious decision to leave the classes of the oppressed and strategize that their best means of survival in a new homeland required a redefinition as members of a superior class. To identify oneself as superior required a new inferior victim.. The Chinese in America fit the bill. Meagher believes Irish antipathy toward the Chinese went beyond labor competition. 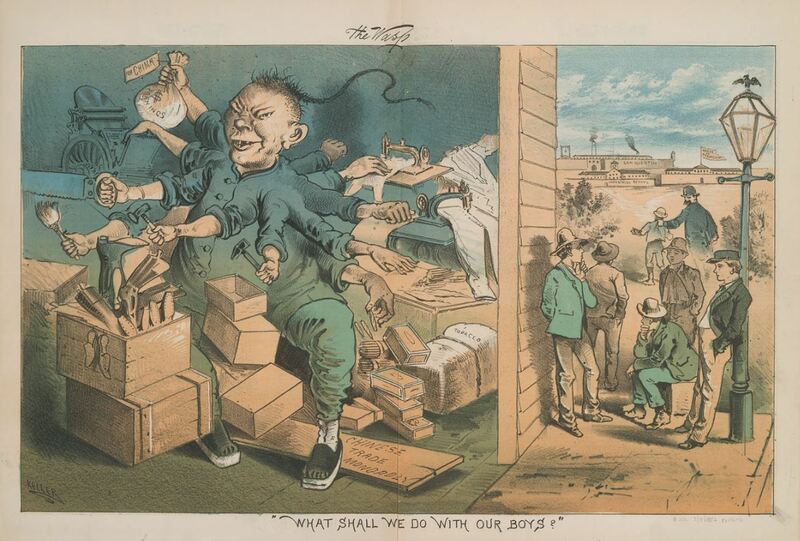 Exemplified by individuals like Denis Kearney, groups of Irish Americans repackaged the same accusations nativists had leveled upon them onto the Chinese. 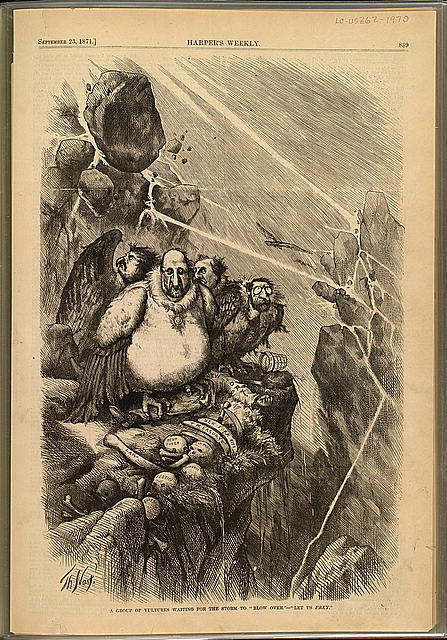 The depictions and accusations all too similar: practice of a strange form of worship (or lack thereof), unwillingness to assimilate to American culture, a desire to keep to themselves, preferences for living in squalor, and members of a invading force, intent to usrup and redefine the American way of life. For Irish Americans, being anti-Asian helped them become more white.